Aaron Hughes said he stumbled upon the hobby that would become his life's work purely by accident. 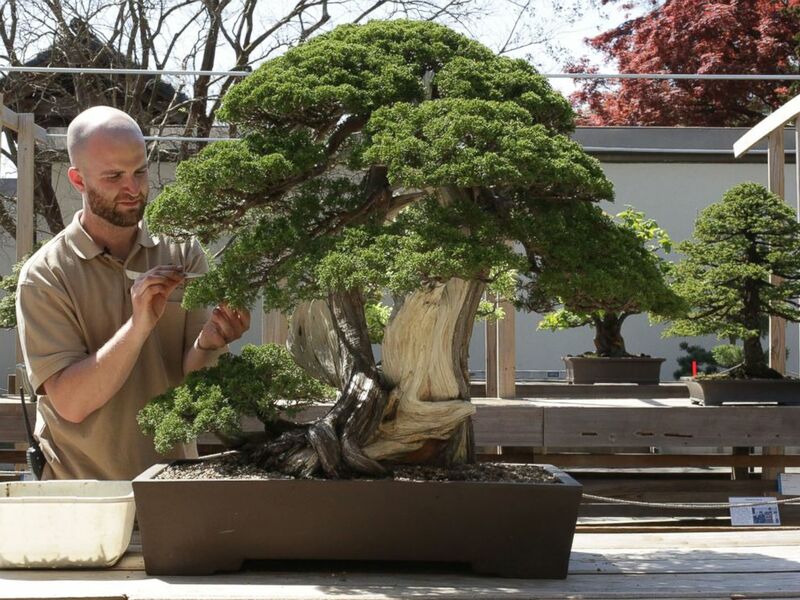 While perusing a used bookstore for a gardening manual that would help him grow tomatoes, the 26-year-old also grabbed a book about the ancient Asian art of bonsai that was on sale. Interested in ABC News Originals? Add ABC News Originals as an interest to stay up to date on the latest ABC News Originals news, video, and analysis from ABC News. That impulse buy may have changed the course of his life forever. “When I got home, I realized that I loved it, and now here I am,” Hughes told ABC News. For the past year, Hughes has worked at the National Bonsai and Penjing Museum at the National Arboretum in Washington, D.C. The space houses around 150 plants, according to its website, and Hughes was tasked with helping the head curator to take care of them all. “I think of it a little bit like being a veterinarian, you know? There are all these different plants but they all have different requirements and different likes, so you have to understand each plant to successfully take care of them all,” Hughes said. Bonsai are fragile, delicate miniature trees that require daily, tedious maintenance and a long-term vision. The gardening craft started in China around 1,000 years ago but is now also popular in Japan and South Korea. It’s not uncommon for one tree to be passed down through entire generations of a family. Aaron Hughes prunes a bonsai tree at the National Arboretum in Washington, DC. But what started as a budding passion has now blossomed into a new life in a new country. Shortly after ABC News filmed Hughes on the job in Washington D.C., he moved to Nagoya, Japan to pursue his dream of becoming a bonsai "master" (which, he said, is more a word used out of respect than an official title). He has committed to studying and working at a nursery in Japan for the next five years. Hughes said he plans to use the next five years as an accelerated launching point into the art form. Hughes said once he begins, he'll face a rigorous schedule in Japan. It's the history that accompanies this ancient art form that inspires him to put in all that time, he said. “It’s a heavy thing,” Hughes added with a chuckle.